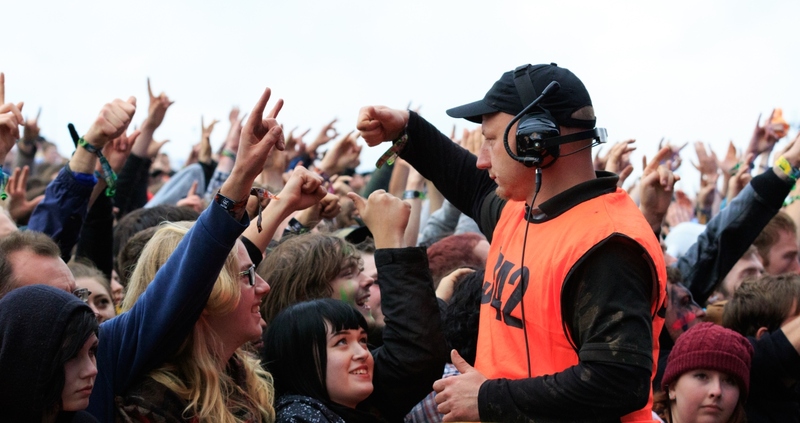 In many respects, Bloodstock Open Air is one big family reunion. 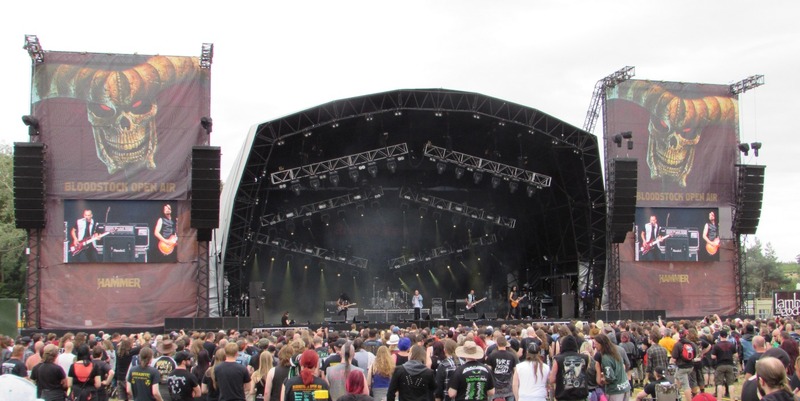 The great success of this year’s event in the picturesque Derbyshire setting of Catton Park in Walton on Trent portrayed once again why the gathering continues to enhance its reputation for being the United Kingdom’s largest dedicated heavy metal festival. Founded and organised by the Gregory family, Bloodstock plays host to a ‘metal family’ of 15,000 fans in tandem with a Showsec family of staff who have become familiar faces at the festival due to their enjoyment of the working experience. As well as the heavy metal band line-up – headlined this year by Within Temptation, Trivium and Rob Zombie – one of the other big attractions was an art exhibition featuring the work of the festival’s co-founder, Paul Raymond Gregory. This included Gregory’s work-in-progress dubbed ‘Mordor Festival’ which made another appearance in the RAM Gallery by the Main Stage, along with many other fantasy artwork pieces including a unique design of the festival’s popular logo. The ‘Mordor Festival’ is inspired by Tolkien and has a unique frame, which now features the Showsec logo along with many other partners of Bloodstock Open Air. 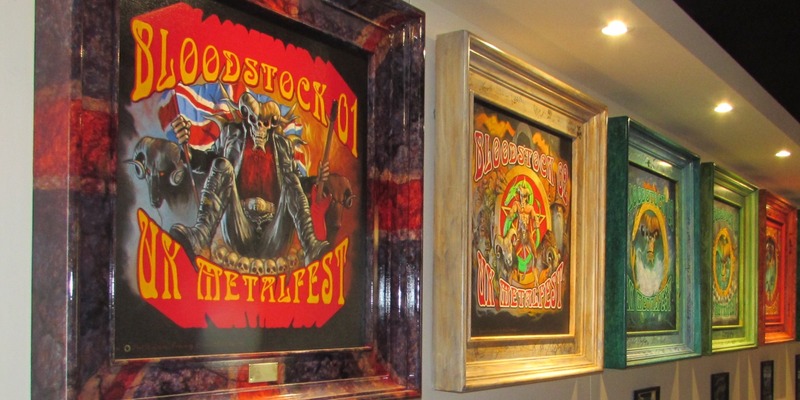 “Our support of the art exhibition is a good example of how we’ve worked closely with the Gregory family to help develop the very unique and special festival community at Bloodstock Open Air,” explained Showsec’s operations executive Darren Evans, himself a heavy metal fan who used to attend the festival before he began working for the business. In praising the contribution of Showsec, Bloodstock director Adam Gregory cited an example of interaction with the fans which highlights the important role that’s played in creating such a good-natured and friendly atmosphere. This was the 15th year that Bloodstock has been staged and, for the last six of those years, Showsec have been influential in developing the event’s special atmosphere. Although some of the sights were pretty scary, including Predator, Zombies, Judge Dredd and a clown sporting a gas mask, you cannot fail to see that the environment is a huge metal family primarily there to ‘rock out’ and have fun. While the good nature of its followers and the community spirit generate a special atmosphere, there’s nevertheless an important role for Showsec to fulfil in terms of ensuring Bloodstock is an enjoyable experience for all in attendance. An important element of that operation is having an experienced pit team in place to manage the enthusiasm and sheer energy within the crowd. For the fifth year in a row, Bloodstock partnered with the Teenage Cancer Trust. 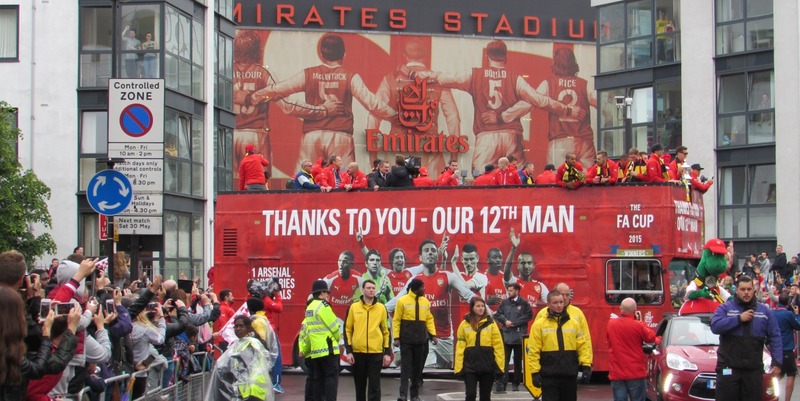 Since beginning that relationship in 2011, over £21,000 has been raised for the charity, with the money going to help the UK’s teenagers and young adults who have cancer. 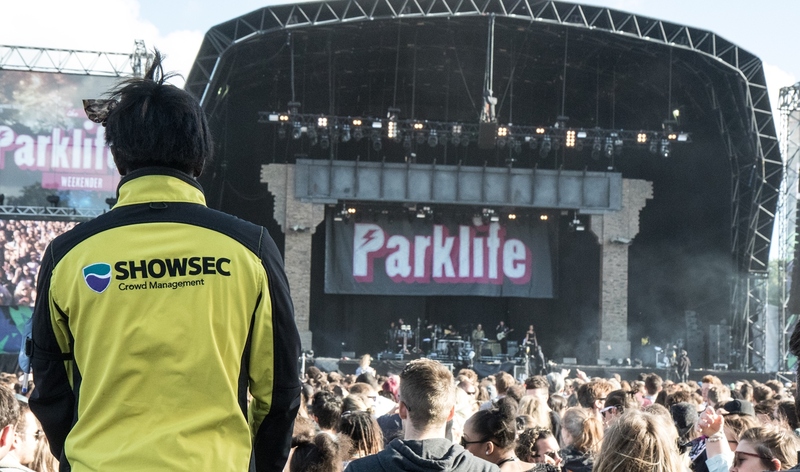 Event security specialist Showsec’s crime reduction partnership with Leicestershire Police has produced another significant drop in incidents at the Download Festival. 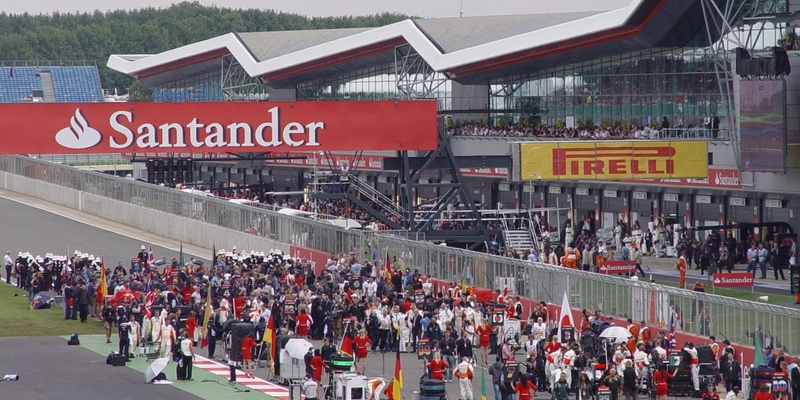 The impact of the joint operation for the 2015 event at Donington Park in the Midlands has resulted in a fall of 35% in reported criminal activity. That follows on from a reduction of almost 70% at the 2014 Festival. What makes this further decrease particularly satisfying is that there was a considerable increase in the number of people who attended Donington Park this time around. 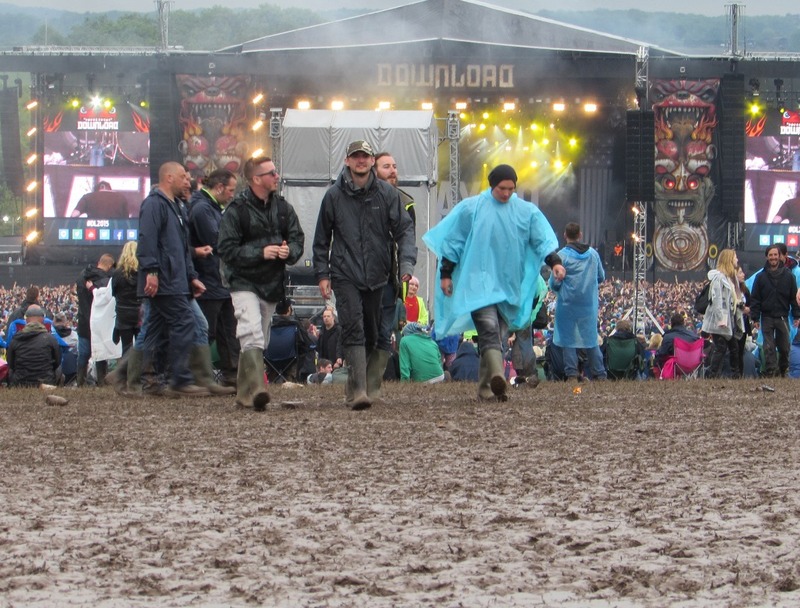 The whole experience for the 80,000 Heavy Metal and Hard Rock music fans who attended was made all the more enjoyable by the effect of a joint crime reduction strategy aimed at enhancing Download’s reputation as the UK’s premier event of its kind. Showsec worked closely with Leicestershire Police on the introduction of a specific Crime Reduction Strategy for the first time in 2014. 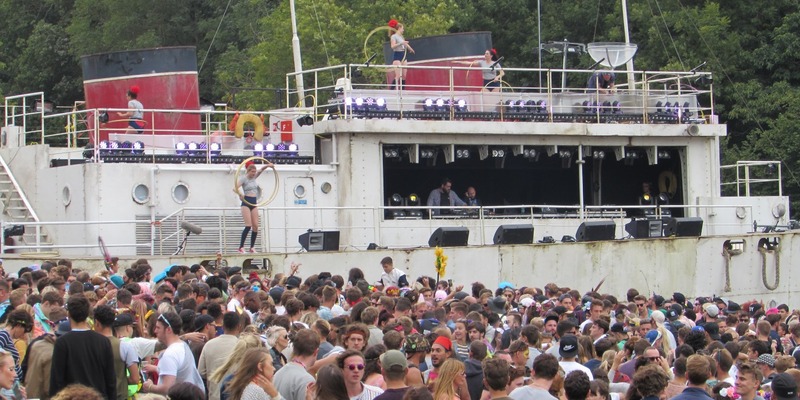 This had a profound effect for a festival which could already point to relatively low crime figures for events of this type. 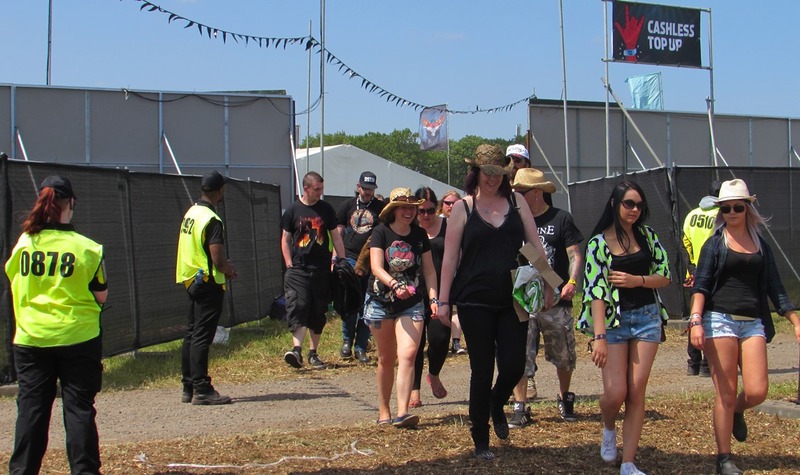 Indeed, crime figures at Download have been on a downward curve since 2011 and are now at a five-year low following Leicestershire Police’s publication of the latest results. 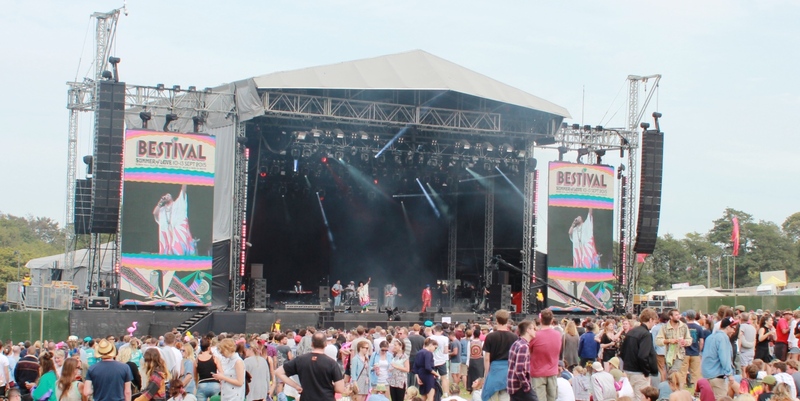 At this year’s event, organiser Live Nation introduced cashless RFID technology which meant there was very little cash on site while the police trialled facial recognition technology. Results of the effectiveness of this particular trial are subject to a separate report. Showsec placed great emphasis on further development of the Crime Reduction Strategy as the award-winning company looked to build upon such a positive outcome last year. The Download Festival is traditionally one of the largest event operations taken on by Showsec each year. It was the commitment and professionalism of the team at all levels which ensured the company rose to the challenges in this instance – and one in particular. 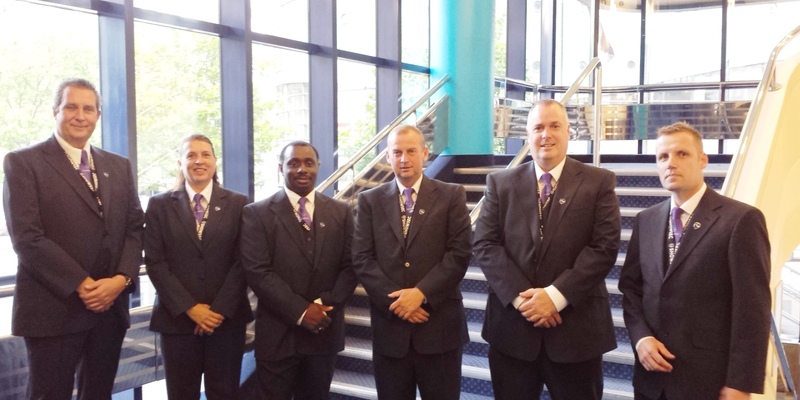 The strength of Showsec’s management infrastructure meant that Battersby was supported by regional managers Richard Church (as arena security manager) and Alan Wallace (security manager for the camp sites) in addition to a number of area managers. These included Joe Milner (project manager) and Louise Stockden (Control Room manager). Operations executive Jennifer Edwards took on the role of crime liaison manager.